A study by the World Wildlife Fund (WWF) Tuesday warned that the snow leopards in the Himalayas are threatened by climate change. Warming at high elevations in the Himalayas is occurring at rates higher than the global average, according to the WWF. The report says 30 per cent of snow leopard habitats in the region may be lost if greenhouse gas emissions continue to increase. Warmer and wetter conditions in the Himalayas will result in forests ascending into alpine areas, which is the snow leopard’s habitat. ”If the treeline shifts upward, as our research predicts it will, we’re looking at the snow leopard faced with diminishing options for where it can live,” said Jessica Forrest, a WWF researcher and one the study’s authors. The, snow leopards live in areas generally below 5,000 meters. 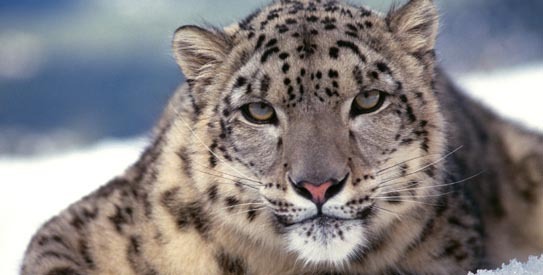 The endangered species are found in the mountains of northern and central Asia, including the Himalayas. Their number is between 4,000 to 6,5000. Some 500 of them live in Nepal’s mountains. ”Loss of alpine habitat not only means less room for snow leopards, but also has the potential to bring them closer to human activities like livestock grazing,” said WWF snow leopard expert and study co-author Rinjan Shrestha.